Thank you, please check your email shortly for your FREE WORKOUT! The 28 Day Commitment to Excellence is the blueprint in written form! Have you ever just wanted a manual telling you what to do to get the results that you want? Here you go! This 28 Day Commitment to Excellence will cover EVERYTHING! No matter what your fitness level is, this program will help you live your best life possible! This is the most customized way to become apart of Y3 Lifestyle Coaching. Get a program tailored specifically to your goals, needs, schedule, and fitness level. Get access to the Y3 Online Coaching as part of your program. This is the golden ticket to finding success in your lifestyle change! Are you not able to meet with a Y3 Lifestyle Coach personally, but still want to live your best life possible. Y3 Online Coaching is for you. You will get a plan customized to your goals and weekly check-ins to insure you are getting all the help you need! When it came to finding a nutritional supplement company to partner with, Y3 Lifestyle Coaching wanted only the best! At USANA, scientific research is at the heart of every product they offer. 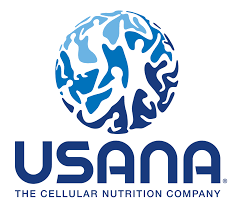 Whether in studies conducted by top scientists in their on-site laboratories, or findings from the many research partnerships they have across the globe, USANA is fully committed to the research and development of cutting-edge nutritional technology. Their state-of-the-art manufacturing facilities ensure that each product they create is made with the same high quality that set them apart from others in the past and will allow them to lead the field in the future.